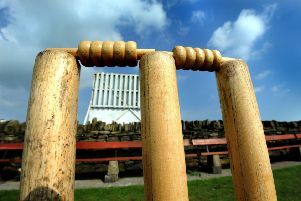 Indoor training gets under way for Monkseaton Cricket Club this month. The sessions, which run from 8pm to 9.30pm, will include coaching and are open to anyone aged 14 or above. Details on junior members’ training will be announced at a later date. The training takes place at TyneMet College, Hawkeys Lane, North Shields, and starts on Tuesday, February 21. The club, which turns out three teams every weekend in the season, is looking for players of all abilities.